This entry was posted on January 7, 2011 by Russell Smith. 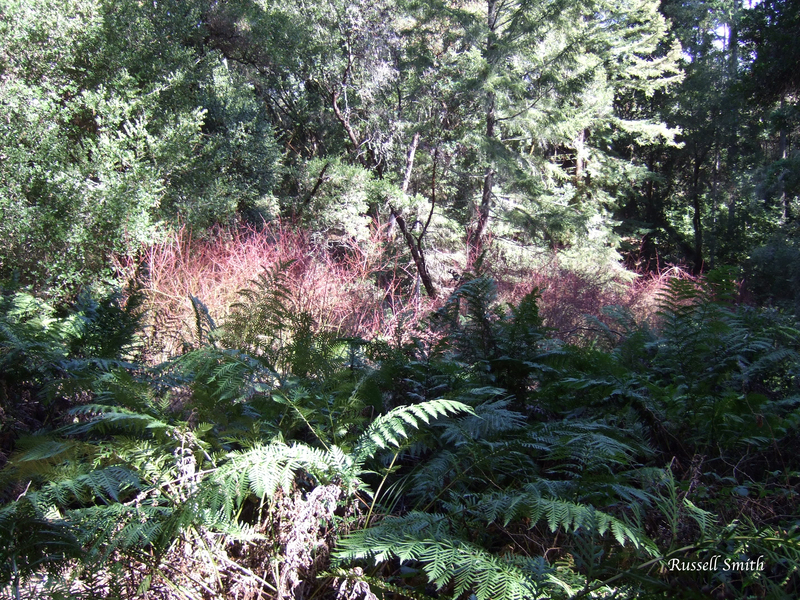 It was filed under Floral, Nature, Rural and was tagged with ferns, parkland, postaday2011, Santa Cruz, sunlight, trees, United States. I like the brush of pink behind the ferns. It makes a wonderful contrast. I think it looks very primeval!